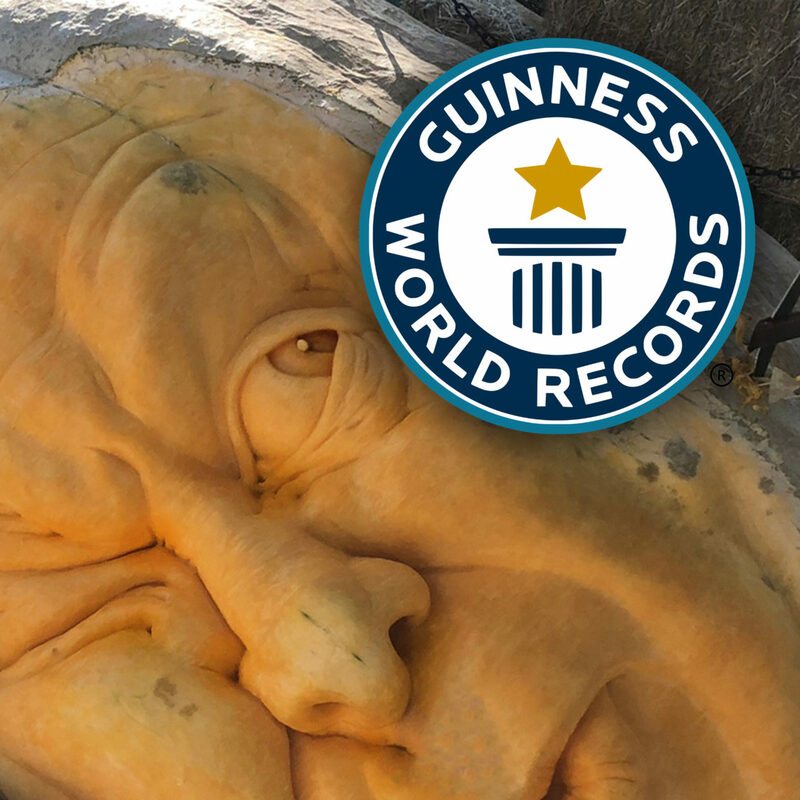 In October, 2018, I helped two friends of mine set the world record for Largest Jack O’Lantern. 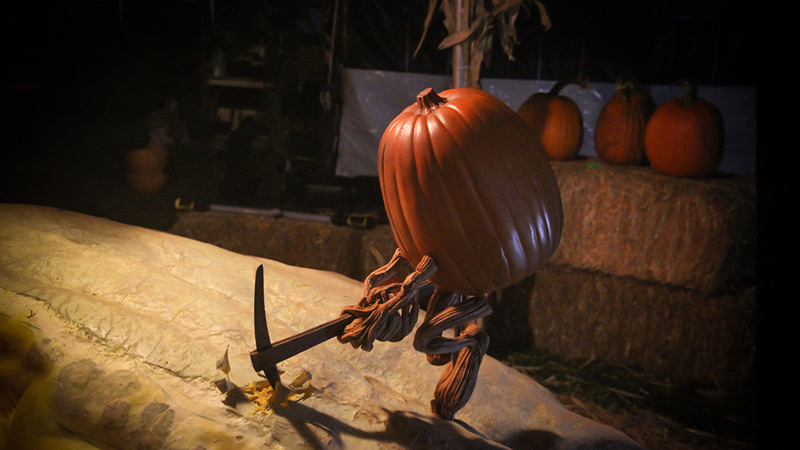 This was my first time working with Mike Brown (Halloween Wars), and my third time working with Brandy Davis (Halloween Wars, Villafane Studios). 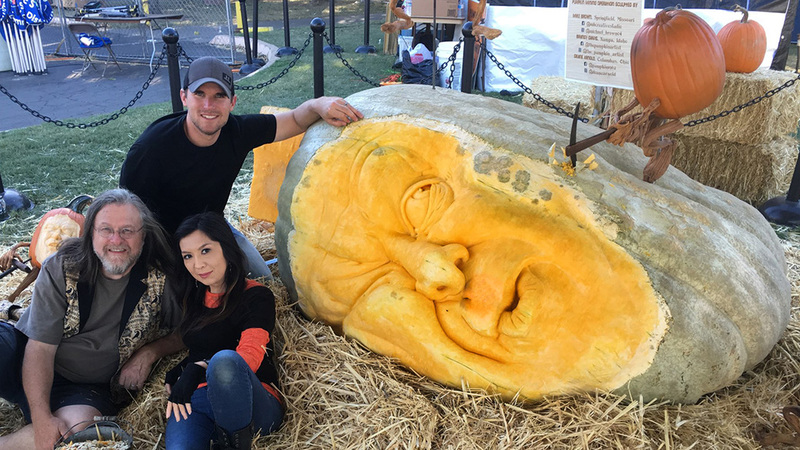 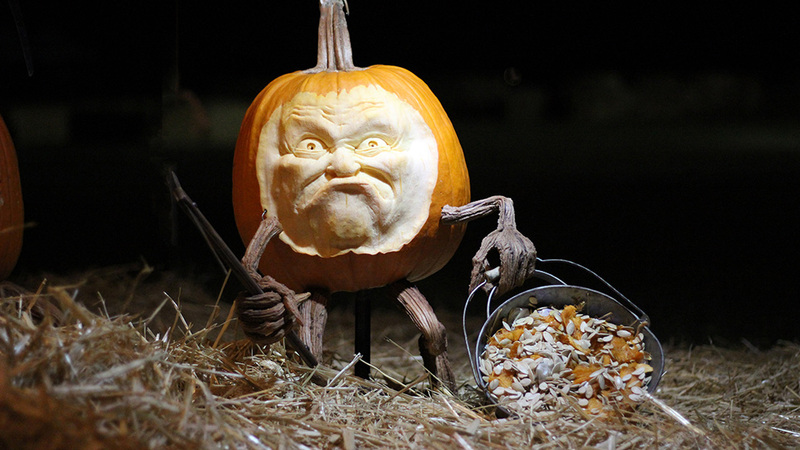 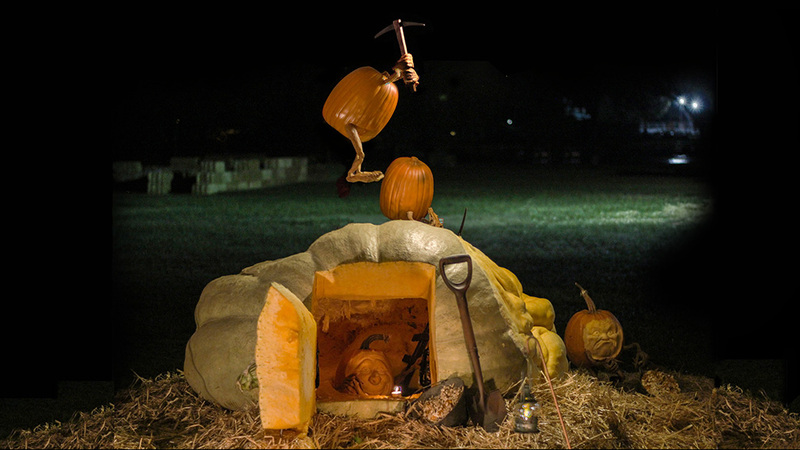 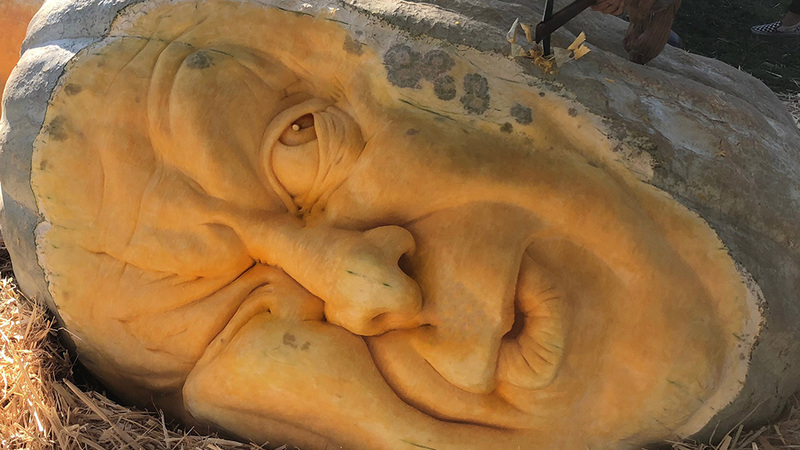 The largest jack o’lantern (weight) is 942.11 kg (2,077 lb), and was achieved by the Cosumnes Community Services District (USA) at the 24th annual Elk Grove Giant Pumpkin Festival in Elk Grove, California, USA on 6 October 2018. 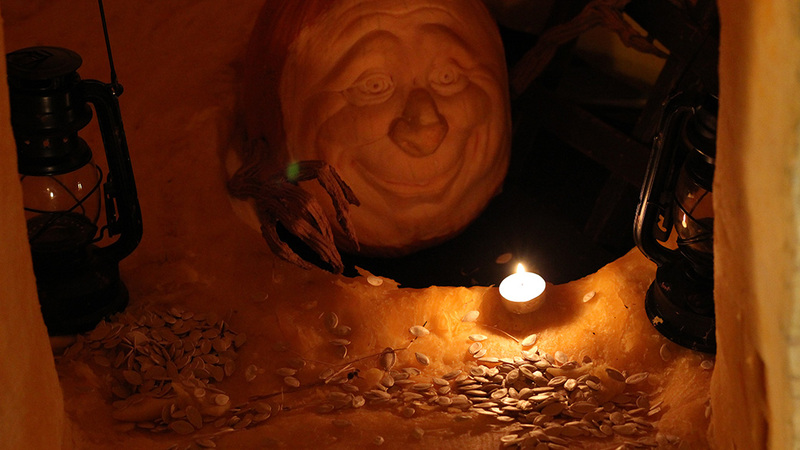 While the record only required a simple Jack O’Lantern (two eyes, nose, mouth, and a candle inside), we decided to create a larger scene. 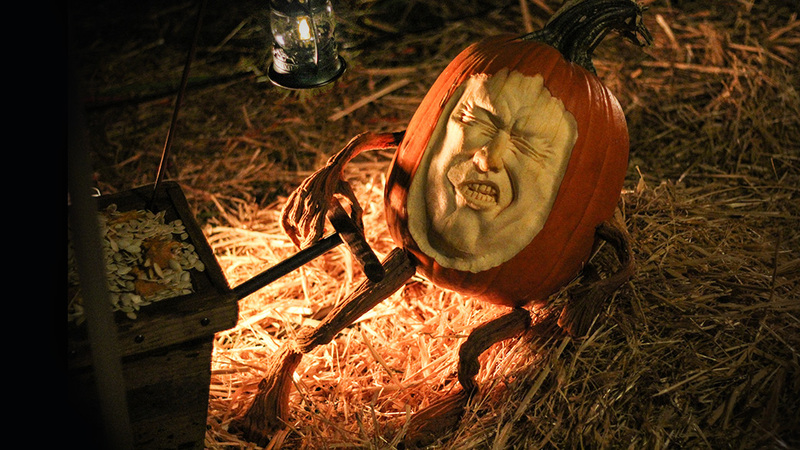 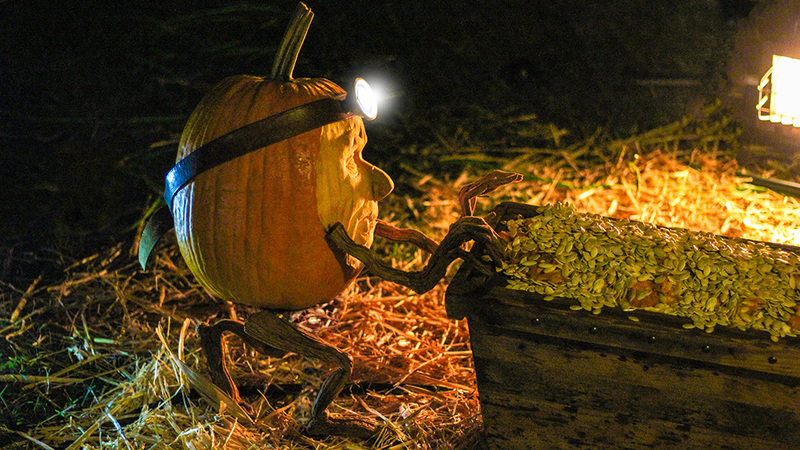 The display includes a gigantolantern who can’t quite figure out why he feels so lousy. 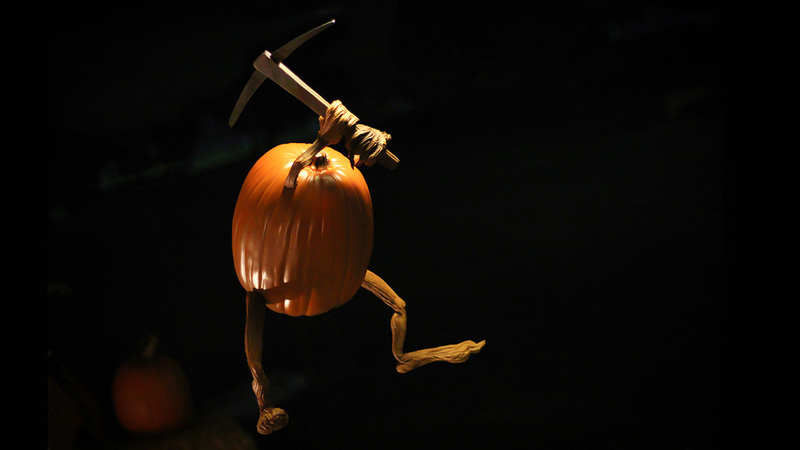 The reason he feels rotten is because a bunch of smaller pumpkins have been digging inside of him to harvest his seeds in a complicated mining operation.